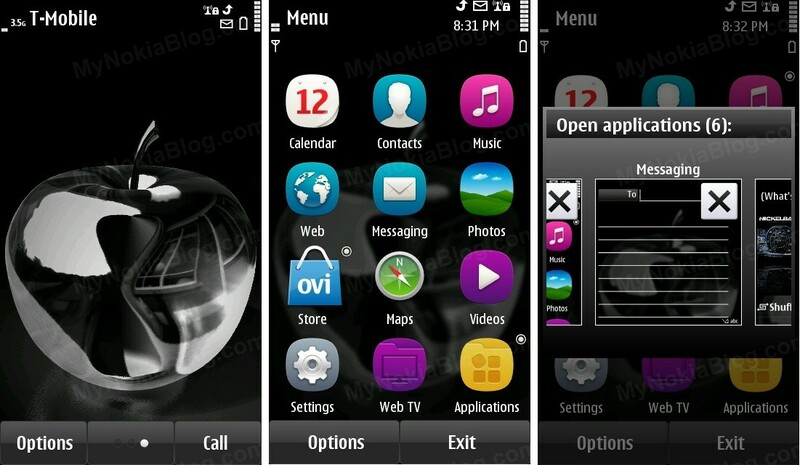 Here’s a theme I came across on Ovi Store as its one of their featured themes. It is called Glass Apple, a black, grey tone theme that looks extra nice with the Anna icons. 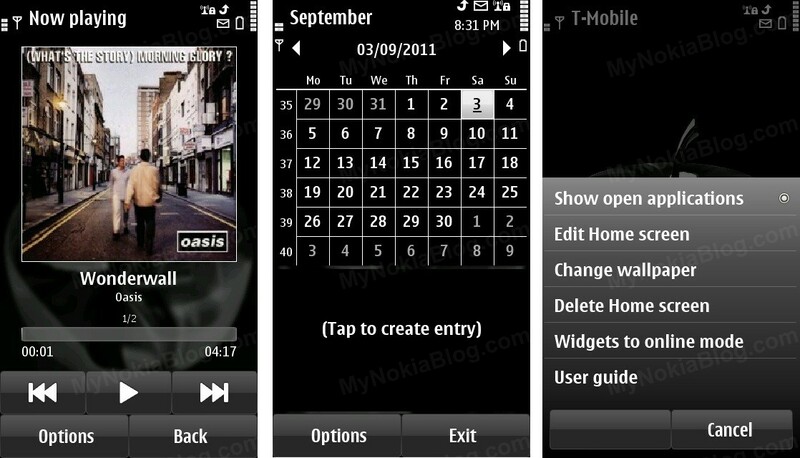 As before, the tag we’ll be using is S^3 Themes (I noticed some old maemo s60 5th themes).